Deputy Minister of Information Policy of Ukraine Emine Dzhaparova expressed her condolences to the Russians who lost loved ones in the fire in the shopping and entertainment center in the Russian city of Kemerovo, according to the message on her Facebook page. Dzhaparova noted that many Ukrainians in recent years are experiencing pain every day when people die in the war, when they are repressed and arrested in the Crimea. “I constantly come across the news about fire in Kemerovo. And every time it is painful. I feel for everyone who lost someone in this catastrophe! Many Ukrainians have suffered this pain every day when people are killed in the war when they are repressed and arrested in the Crimea and they know exactly what to lose someone means! I believe these people who have experienced a feeling of loss they do not wish it on others. The last thing that struck me when a man who lost in the fire his wife, sister and three children at a protest said to the authorities that "people are treated as cattle." The meeting gathered with the requirement to punish those responsible. I do not know if it is possible in the current police system, where everything is solved from the point of view of ties and force, objective investigation and human dimension of politics. 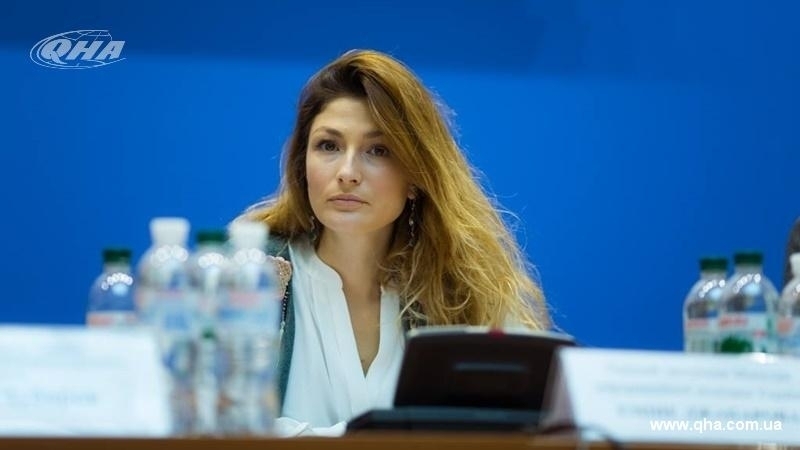 This is the key thing for Russian citizens to understand about their country and what is almost impossible because of the lack of freedom of speech,” she wrote. Earlier, the Minister of Foreign Affairs of Ukraine Pavlo Klimkin expressed his condolences to the Russians in connection with the fire in the shopping and entertainment center of the city of Kemerovo. The words of the minister's sympathy caused an ambiguous reaction in social networks. Reference: As a result of a fire in Kemerovo on March 25, 64 people died. The total area of the fire has reached 500 square meters. In total, 100 people were evacuated, 16 people are missing.